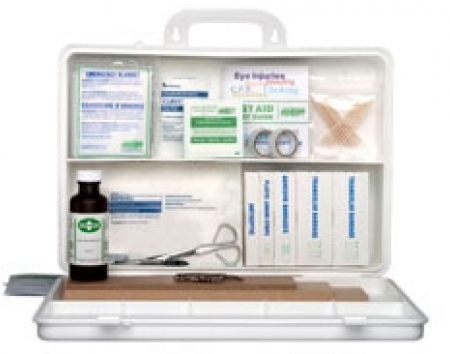 First Aid Supplies - Safety Starts Here Inc.
Safety Starts Here now carries an assortment of First Aid Supplies. Call our office at 780-608-1434 to order or view our selection at our training centre located at 5051 50 Street (Main Street Camrose - next to the Bailey Theatre). Quick Overview:For worksites with 1 worker per shift, regardless of proximity to emergency healthcare facility, and worksites with up to 49 workers per shift, in close proximity to emergency healthcare facility. Components are packed loose in the container. Quick Overview:Consists of a medical grade non-woven dressing infused with Water JelÆ gel. 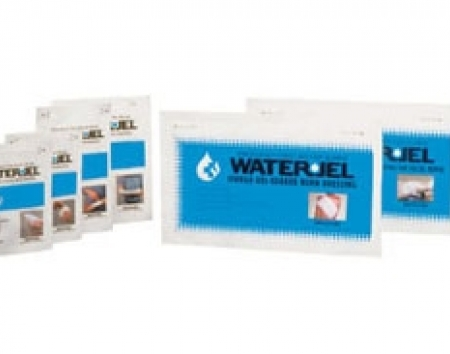 Bacteriostatic gel formulation works quickly in emergency burn situations. Provides cool and soothing temporary relief of pain, protects against contamination, stops burn progression and lessens the chance of body fluid evaporation all in one step. 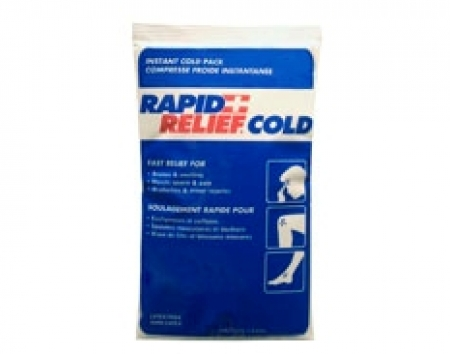 Lowers and stabilizes skin temperature; cools through transference, not evaporation, to reduce the risk of hypothermia. Water-based, water-soluble gel is easy to remove, can be applied directly over clothing and assists in the removal of burnt clothing. Non-toxic and non-irritating; will not harm the skin or eyes. Will not stick to the wound. Unaffected by prior freezing, air travel and hot temperatures. Packaged in individual easy-to-open foil packages. Quick Overview:High-quality pressure dressing features a non-adherent, double-thick secondary pad for extra absorbency, strength and patient comfort. 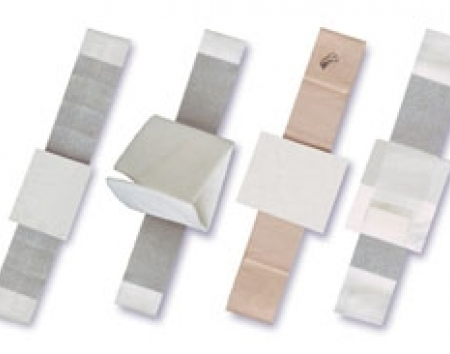 Used to stop bleeding without the need for separate gauze pads and gauze bandage rolls. Provides superior absorbency. Non-adherent pad will not disturb or stick to the wound. Easy to apply without contaminating the pad. Moisture-proof packaging resists water and ensures sterility. 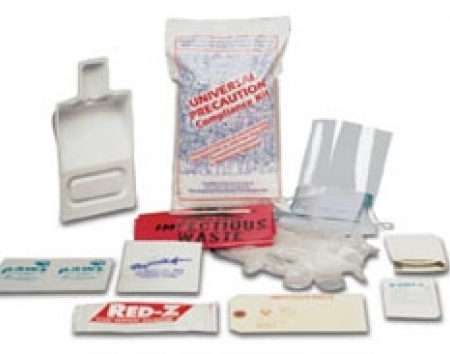 Fast and easy to apply in emergency situations. Quick Overview:Ready-to-use and easy to activate for emergency use whenever cold therapy is required. Reaches 0 degrees C (32 degrees F) within seconds. 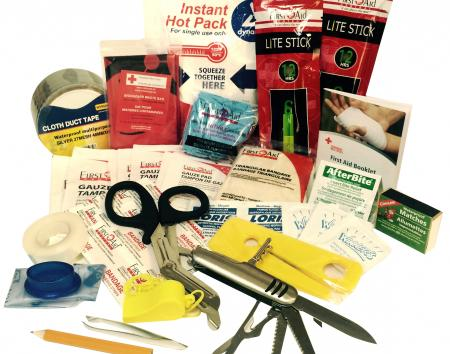 Quick Overview:Every household should have a first aid kit. 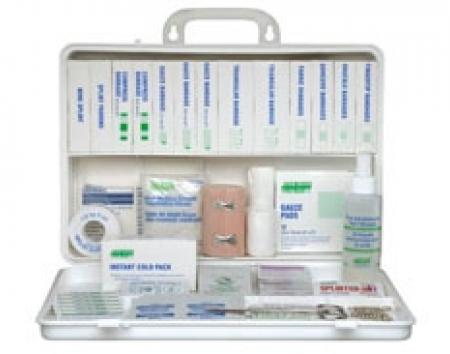 By having this well stocked compact kit in your home, you'll be prepared with the supplies you need to deal with common small and medium sized injuries. 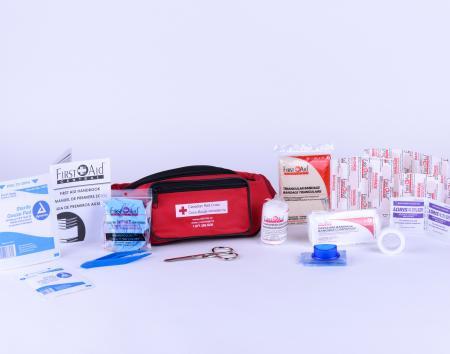 Quick Overview:Keep your first aid supplies easily accessible with the fanny pack first aid kit. Great for cycling, hiking, skiing and while active outdoors. 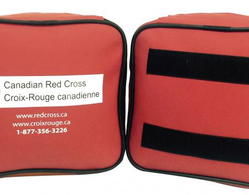 This weather resistant kit is durable yet light weight, comes with a detachable clip and can be worn around your waist. Contains everything you need to treat everyday nicks and scratches. 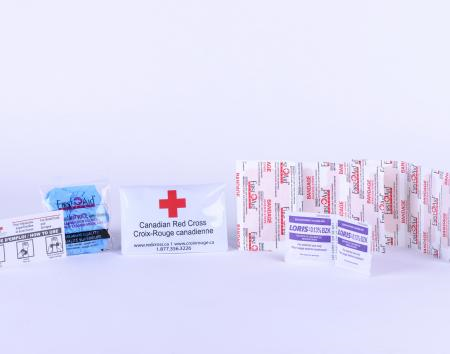 Quick Overview:This wallet sized kit contains first aid essentials for small wounds. Its small size and light weight design make it ideal for handbags or backpacks. 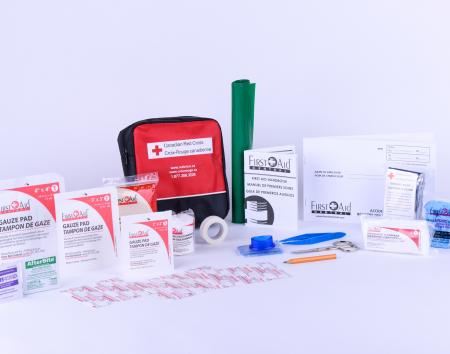 Quick Overview:The Disaster Preparedness Kit was designed to give you the basics for your family's personal preparedness plan. 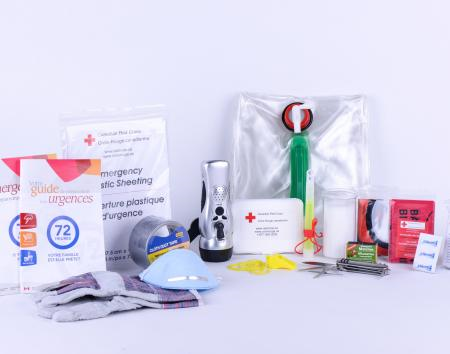 The kit features over 85 essential items that will help support you during the first 72 hours of an emergency. 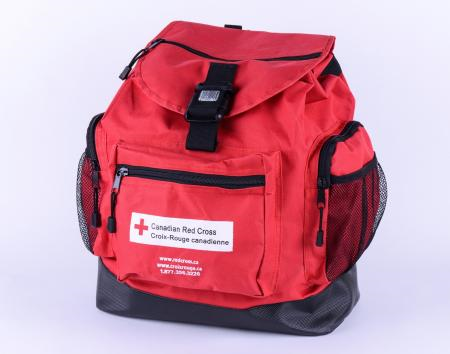 All items are carried in a backpack with a reflective clip that has additional room to add other essentials for your comfort and survival. 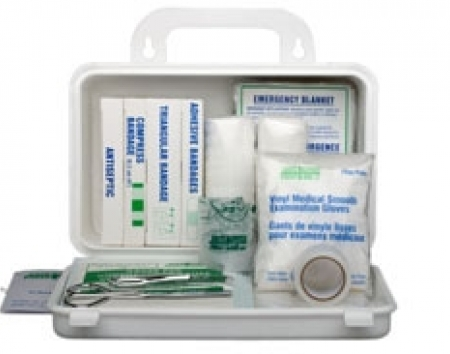 A mini-first aid kit is also included so that you are more prepared in an emergency.